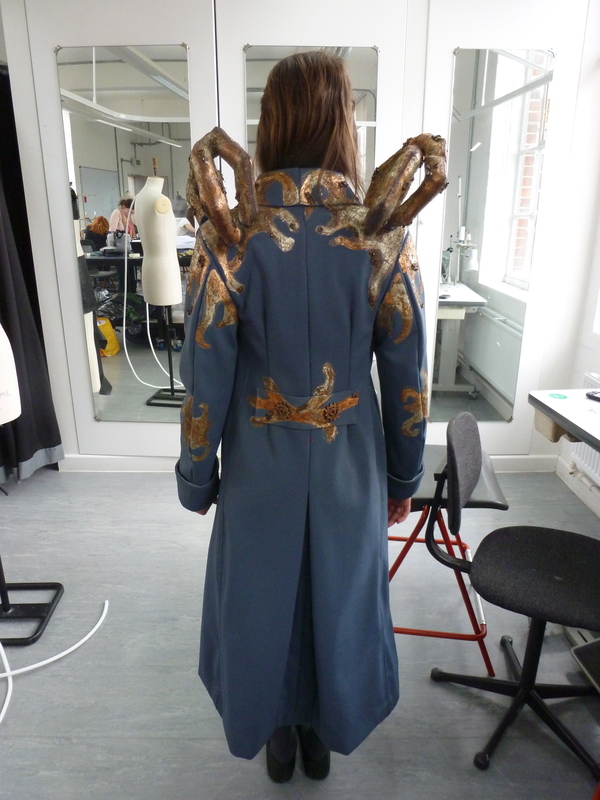 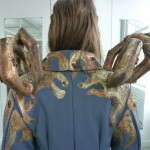 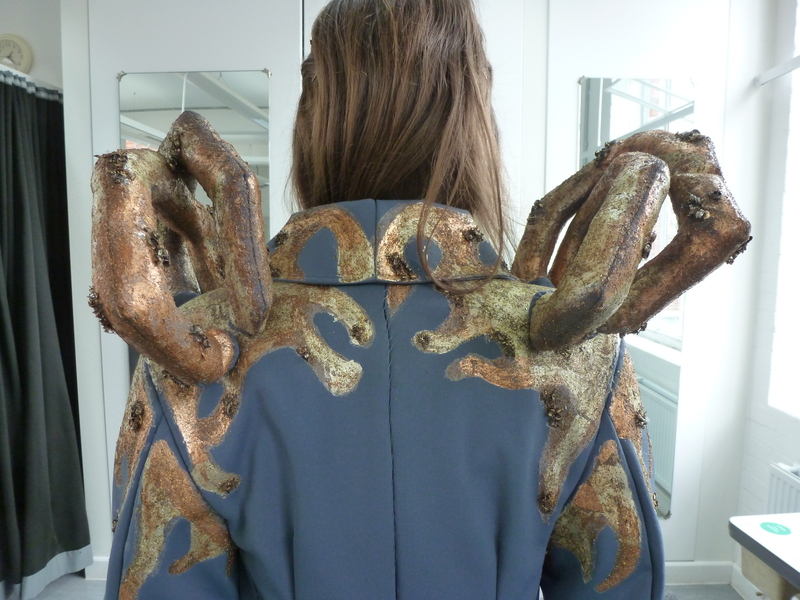 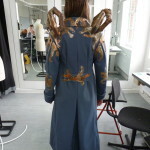 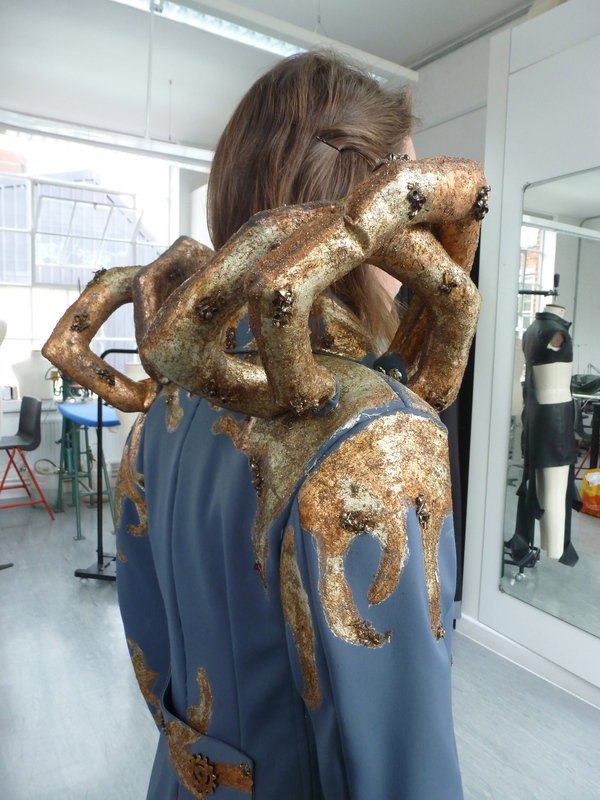 Description : First year collaboration project at London College of Fashion. 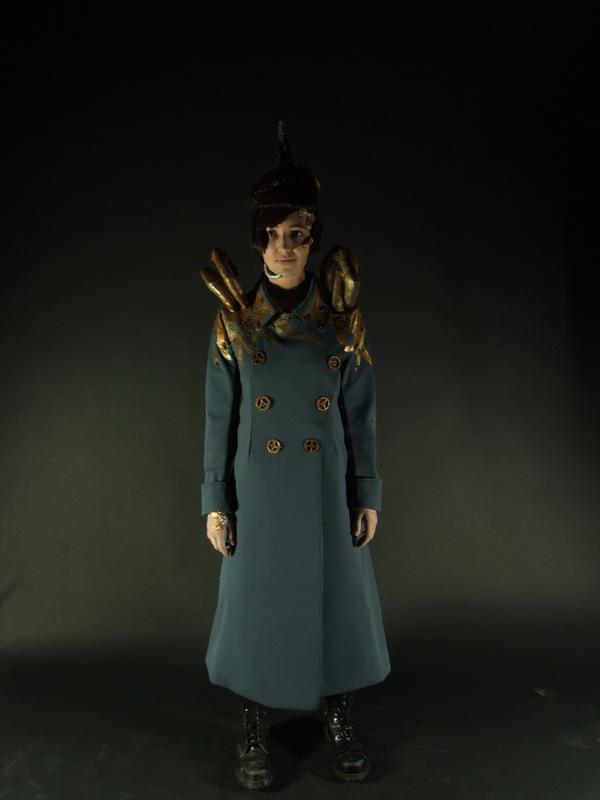 Soldiers are represented as war machines with the machine aspect taking over their body and controlling their actions. 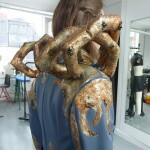 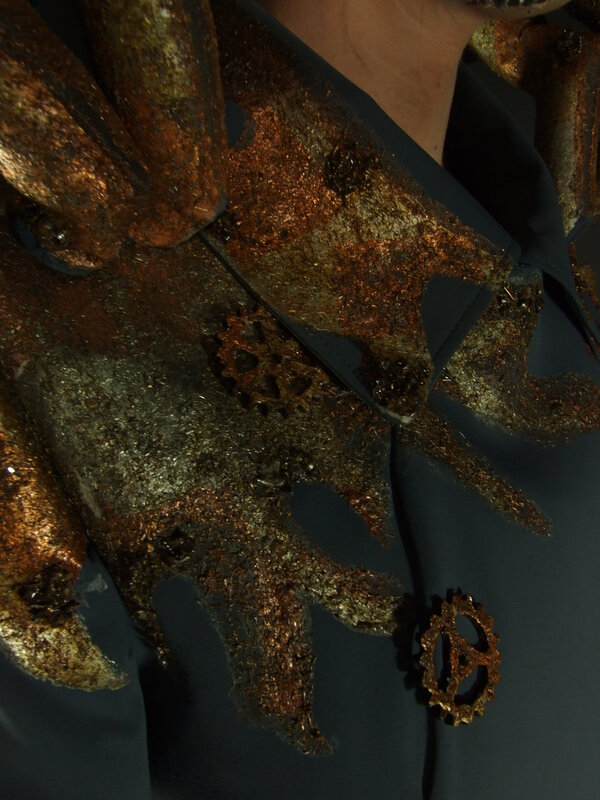 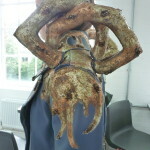 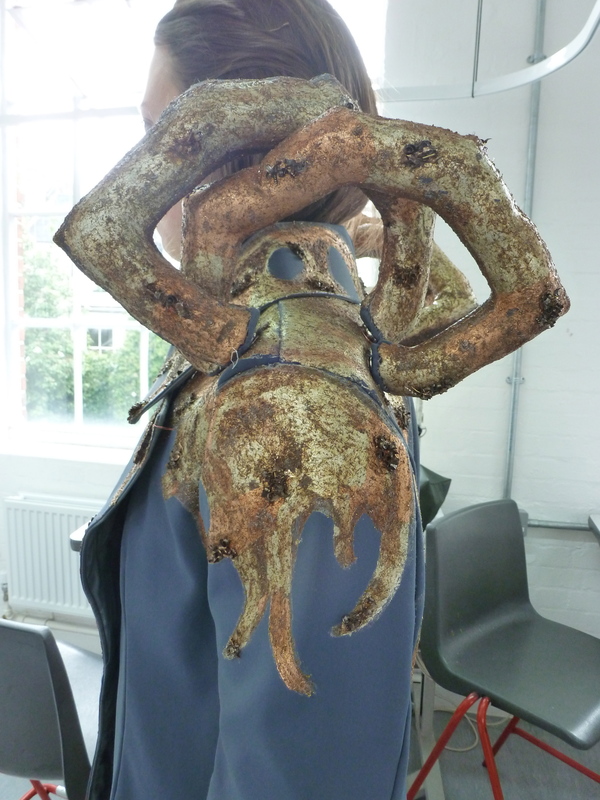 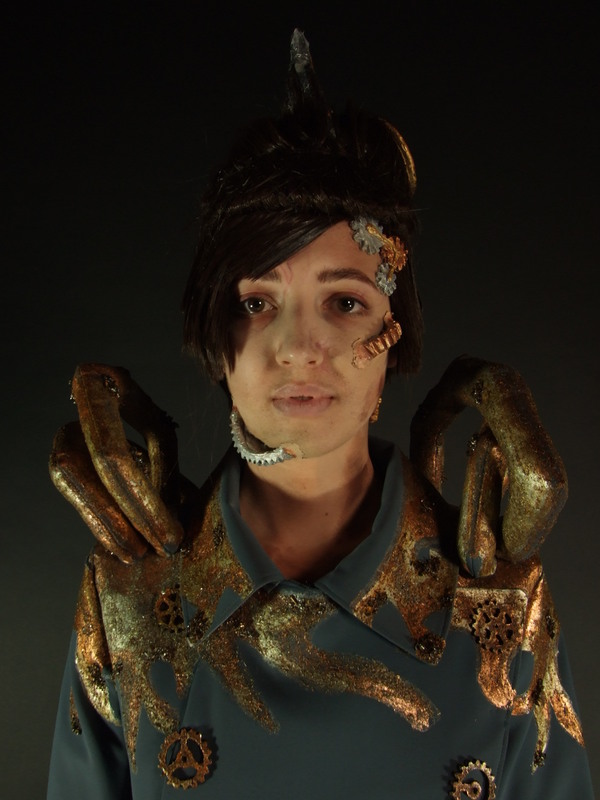 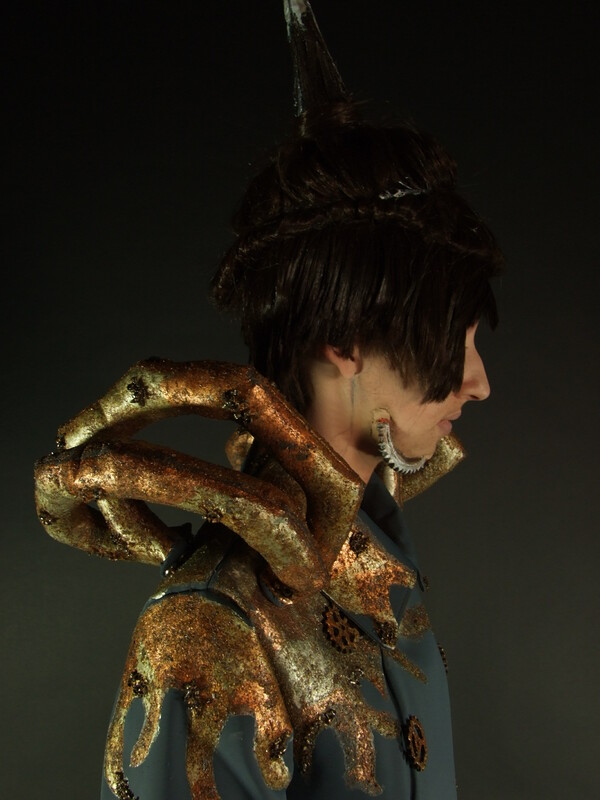 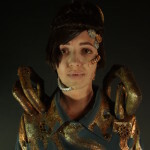 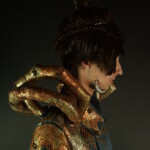 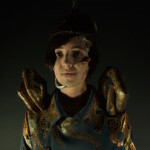 Costume made out of neoprene with fabric details out of metal shavings and dust. 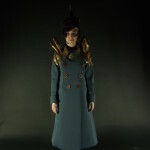 Collaborated with Poppy Taylor (Hair& Makeup).